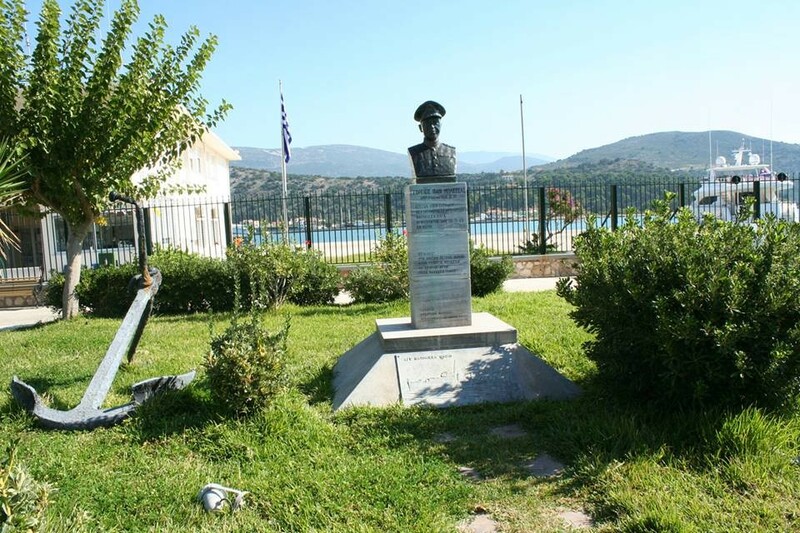 The statue of the hero of the Second World War, Commander George Blessas stands on the beach of Argostoli in front of the building of Port Authority. Commander of the destroyer “Queen Olga” was killed on September 26th 1943 when German bombs sank the ship. 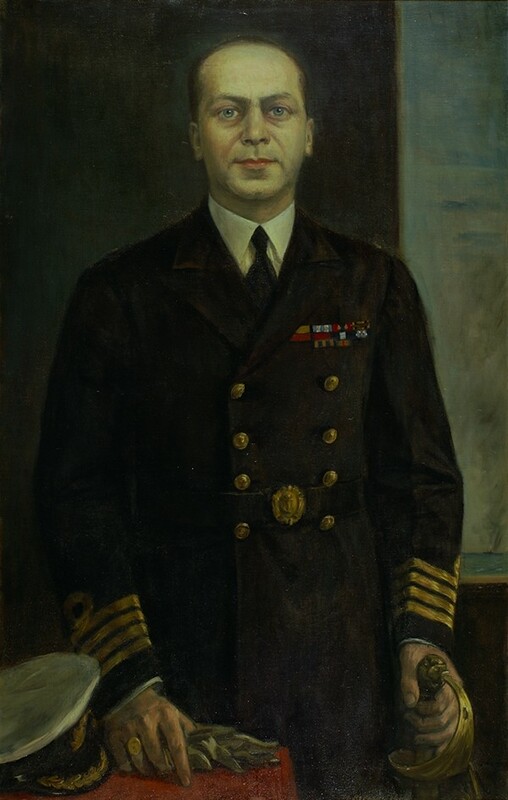 George Blessas was born in Argostoli on the New Year’s Eve of 1905 and the outbreak of war in ’40s found him in the Navy, Governor of torpedo “Kydoniai”. With the collapse of the front in 1941 he managed to lead the torpedo Aspis as its Governor in Alexandria. Since August 1942 he was Governor of “Queen Olga” and the ship participated in revolutionary acts and took part in the landing of the Allied forces in Italy after its surrender. In September 1943 it sails in Aegean Sea to fight in the Dodecanese. Here at Laki of Leros on September 26th 1943 the German bombers sink the ship and led to the death Blessas and 71 crew members. 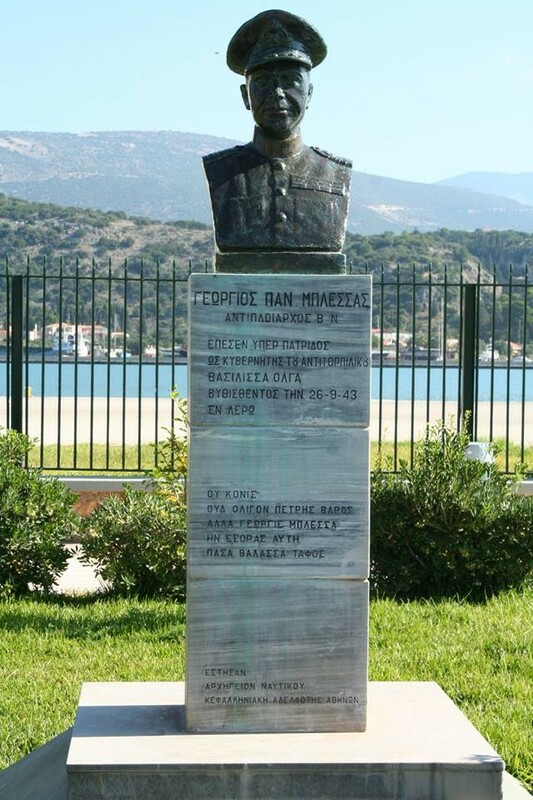 His name was given to a vessel of Greek naval n honor of George Blessas and he won major medals.